Steam being vented from the back of the Parker House. 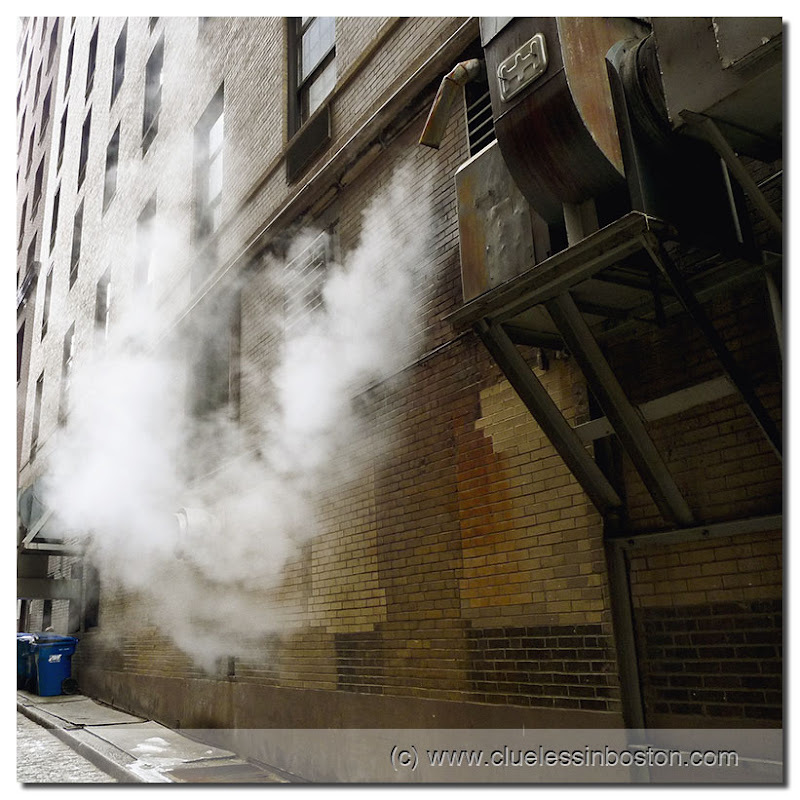 I like these steam shots, took a couple in New York, you don't see it very much over here. Different heating systems I guess. I would have tried it in Black and White, to get it maybe more mysterious. How nice to see a work of art created from something as mundane as an exhaust of steam-- bravo!